Home/What’s Happening/Latest News/KES bikers brave the cold! KES bikers brave the cold! At King Edward’s we are proud of the multitude of co-curricular clubs and societies that we offer to our students. 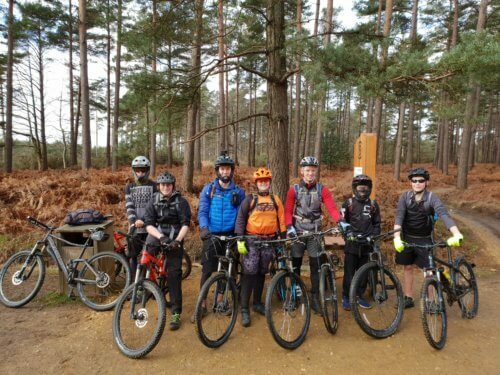 This weekend saw members of the King Edward’s Mountain Biking Club, with the addition of a few new faces, head up to Swinley in Berkshire. Braving the cold Sunday winds, the cyclists focused on the red run throughout the day, practising their skills in preparation for their next residential trip due to take place in March.